What Qualities Define a Good Recruiter? What makes a recruiter unbeaten? Just carrying out the given tasks does not identify a good recruiter. There are definite qualities that define a good recruiter. If you are looking for a job as a recruiter or looking to get better at the job you are at, you should develop your knowledge about your role. From lifestyle to everyday schedule, a life of a recruiter gets impacted by every minute move it makes. It is not essential that a recruiter has an HR background. An experience in marketing, finance, sales, admin or any other department of the organization can make a recruiter in this field. In spite of the mixed backgrounds, recruiters can promote qualities that make them successful. Qualities of a Successful Recruiter: Skills, experience and networking sure make a successful recruiter. But there are some necessary qualities that make a good recruiter. To be in the top league and maintain that position in the industry, it is important to have some of the following qualities listed as below. It is important for a recruitment expert to be a great listener. If you have the skills to listen and understand the needs of both the job seeker and the client, you will be able to understand better the necessities and who can fit where. Over the years listening skills will help make you healthier decisions. Confidence is a requirement in skills, in qualities and in everything that a recruiter does. The higher the Confidence levels of a recruiter are the stronger and the good recruiter they are. It is very easy to sort out a name of the provided database and make a call. On the other hand, it is an entirely different thing to build a relationship. Good recruiters build and develop relationships with the ones they hire. Try and have a genuine conversation rather than a scripted interview. Well, having good communication skills is important regardless that you are connecting through phone, e-mail or call. As a recruiter you need it to communicate the message in a way that it keeps your and the organizations image unbroken. Managing with multiple projects and tasks at the same time is common in the life of a recruiter. You need to multitask and manage all the projects in hand with important details of jobs, job seekers and companies. With good communication, you should also be able to sell your company and the role to the job seeker with maximum benefits to the employer. 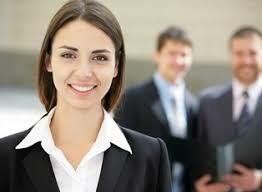 Strong sales skills will help you get more employers or clients on board. Your candidates are your customers, be serious about them. As a good recruiter, you should have a clear plan in mind that you use whenever you are looking out to fill a position. If you are confident on a person, hire him/her. If not, then keep looking with alternatives. To be unbeaten in any field you need to keep learning to grow. You need to get in touch with the latest trends to be at an edge. Secondly, there are no mistakes. Have the capability to turn challenges into opportunities. Every job requires hard work and a continuous learning to grow. Ensure that you are doing well at the job you are at. 0 Comments on What Qualities Define a Good Recruiter?